During the Reformation, the advance of the Muslim religion was very much “in the news.” The advancing Turkish Ottoman Empire, which reached its height in the early to mid-sixteenth century, posed an unnerving political and military threat to European Christendom. Even though the armies of Europe turned back the Turks at the gates of Vienna in 1529, the fact that the forces of Islam had made it that far left Christian Europe “severely rattled” for decades to come. [i] Thus, while primarily doing battle with the Roman Catholic Church, the Reformers also gave occasional attention to Islam. In addition to explaining the nature of Islam, the Reformers pondered what lessons God wanted the church to draw from the advance of “the Turks” (synonymous then with “Muslims”) upon an outwardly Christian people. As we’ve just recognized the five-hundredth anniversary of the Reformation, we find ourselves troubled by these same questions. 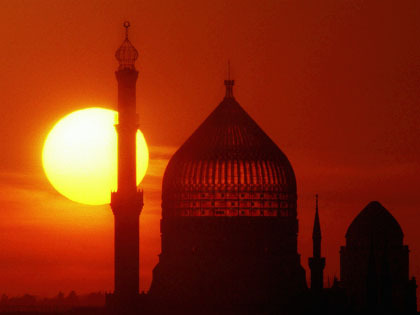 It seems timely to ask, how did the Reformers view Islam? The Reformers did not consider Islam “one of the world’s great religions” or “one of the three Abrahamic faiths.” Rather, they predominantly thought of Muhammad’s teachings as a heretical deviation from Christianity. The word heresy comes from the Greek meaning “to pick, to choose,” and as such, a Christian heresy does not receive the Christian faith as a whole but rather selects certain elements at the expense of others. What’s left is something that has been extracted from Christianity but is no longer Christianity. Two of the most well-known heresies in church history are Arianism (a heresy that denies the eternal Trinity) and Pelagianism (a heresy that denies original sin and teaches salvation by works). The church’s struggle against heresy has been perennial. Arising in the seventh century in a region once influenced by Christianity, Islam purports to retain the original revelation of God given in the Old and New Testaments (though Islam claims that the Bible possessed by Christianity is corrupted). It also retains the confession of monotheism and a belief in the immortality of the soul. It rejects, however, several critical elements of Christianity, chiefly the doctrines of the Trinity and of the incarnation. In other words, it picks and chooses from among Christian beliefs, as heresies do. Accordingly, writing less than a century after the founding of Islam, the great Christian theologian (and native of Syria) John of Damascus categorized Islam as one among many heresies. In his book Concerning Heresy, John gave his most extended attention to Islam, writing of Muhammad that “this man, after having chanced upon the Old and New Testament and likewise, it seems, having conversed with an Arian (heretical) monk, devised his own heresy.” John then highlights numerous points of concern, including that (a) the revelation Muhammad claimed to receive was received without witnesses; (b) Muslims allow men to take more than one wife (up to four); and (c) they allow men to divorce their wives easily. In summary, the Reformers broadly viewed Islam as a Christian heresy that, having selected some elements of Christianity and rejected others, took root and spread in areas where true Christianity had been eclipsed by substantial degeneration in faith and life. What lessons, then, did the Reformers draw for the church in their day? The Reformers understood the advance of Islam into formerly Christian regions as God’s judgment on the degenerate spiritual state of formerly Christian peoples. Accordingly, they called Christians to hear God’s call to repentance whenever they heard news of Islam’s threats and successes, and especially to hear God’s call to hold to Scripture and to Scripture alone. Only out of such repentance and faithfulness to Scripture can the churches then expect God’s blessings on their mission efforts to the Muslim peoples. It is hard to miss the parallels today—five centuries later—as we witness Islam advancing and flourishing precisely in the West where the tenets of the Reformation and of the universal Christian tradition have been corrupted by, or rejected in favor of, secular humanism. The perspective of the Reformers did not remain confined to them. Writing in the twentieth century, the Roman Catholic scholar Hilaire Beloc maintained the same basic posture: “Mohammedianism [Islam] was a heresy: that is the essential point to grasp before going any further. It began as a heresy, not as a new religion. . . . It was a perversion of Christian doctrine. Its vitality and endurance soon gave it the appearance of a new religion, but those who were contemporary with its rise saw it for what it was—not a denial, but an adaptation and a misuse, of a Christian thing.” And the renowned C.S. Lewis spoke succinctly of Islam in the same way: “Islam is only the greatest of Christian heresies” (God in the Dock). In political discussions today, it’s been urged that our leaders properly “name and identity the enemy,” which means calling Islamic terrorism what it is. But as Christians, we must also name and identify Islam itself properly. Calling it “another of the world’s great monotheistic religions” hides the fact that Islam, genetically speaking, assumed the prerogative to pick and choose from among Christian beliefs to establish its own—just as other great heresies that the church has battled throughout her existence have done. Paul exhorted Timothy to “charge certain persons not to teach any different doctrine. . . . The aim of our charge is love that issues from a pure heart and a good conscience and a sincere faith. Certain persons, by swerving from these, have wandered away into vain discussion, desiring to be teachers of the law, without understanding either what they are saying or the things about which they make confident assertions” (1 Tim. 1:3–7). A more apt description of Muhammad one would be hard-pressed to find. Identifying Islam as a heresy enables us to contrast it point by point with Christianity, marking Islam’s specific and several points of departure, and to lay claim to our distinctive doctrines (the Trinity, the incarnation, the sufficiency of Scripture, salvation by grace alone through faith alone) with renewed devotion. Identifying Islam as heresy also helps us to be confident that the best defense against Islam is the same as that against any heresy—namely, our own commitment to unvarnished and uncompromised Christianity, however unpopular that may be in our time and in our land. For just as Islam arose in the seventh century in an area of degenerated Christianity, so it spreads today in those parts of the world where people have turned away from an uncompromised, full-orbed Christian faith. [i] Stuart Bonnington, “Calvin and Islam,” The Reformed Theological Review, vol. 68, no. 2 (August 2009): 77. [ii] Emidio Campi, “Early Reformed Attitudes towards Islam,” Theological Review 31 (2010): 134. [iv] Bullinger, Reply to Seven Charges (1574), Reply 34r-v, quoted in W.P. 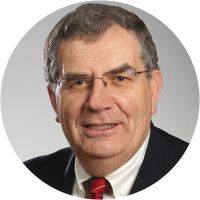 Stephens, “Understanding Islam – in the light of Bullinger and Wesley,” EQ 81.1 (2009): 24. [v] Calvin, Sermon on Deuteronomy, quoted in Campi, 146. [vi] Campi, “Early Reformed Attitudes towards Islam,” 146. Originally posted on TableTalk Magazine website in January 2018. Republished by permission. The biblical book of 2 Kings gives a theological explanation for the Babylonian siege of Jerusalem in 597 BC and the subsequent exile of its people. It is a rich account of sage prophets, ruthless kings, intriguing miracles and murderous plots. Our removal of not hundreds but thousands of years from the live action of the Old Testament can give it a mythical quality — somewhat adrift from the “real” history of the Iron Age of the ancient Near East. In fact, far from being untethered from the real events of the early sixth century, the account of 2 Kings forms part of a coherent narrative with non-biblical sources from this era in history. The account describes how, in the ninth year of his reign, Nebuchadnezzar II and the Babylonian army besieged Jerusalem for the first time since the new Babylonian empire had begun. The Judahite king Jehoiakim had been a Babylonian vassal for three years (2 Kings 24:1) but foolishly rebelled against Babylon, possibly because he hoped for support from Egypt. But Egypt did not come (2 Kings 24:7). After the death of Jehoiakim, his son, Jehoiachin, was left to deal with Nebuchadnezzar. Jehoiachin held the throne of Judah for only three months before he had to surrender to Nebuchadnezzar and was replaced by a puppet king, his uncle Zedekiah. A decade later, Zedekiah, too, would rebel and the Babylonian army would return to deal the final blow to the tiny kingdom of Judah. The siege of Jerusalem in 597 is attested not only in the Bible, but in an important Babylonian source called a Babylonian chronicle. 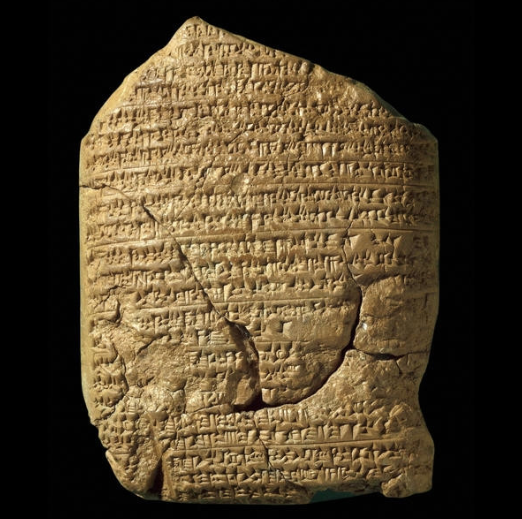 The chronicle which reports the siege is written in Akkadian (one of the traditional languages of ancient Mesopotamia, corresponding approximately to modern Iraq), in the cuneiform script, on a clay tablet that is now kept in the British Museum. Scholars believe that the tablet was probably discovered in the private archives of priests associated with the temple of the god Nabu in ancient Borsippa, about a hundred kilometres south of Baghdad in southern Iraq. In contrast to royal inscriptions, chronicles are considered to be a relatively unbiased source as they include reports unfavorable to the Babylonian rulers, such as records of losses in battle. The seventh year (of Nebuchadnezzar II): In the month Kislīmu, the king of Akkad mobilized his troops, went to Ḫatti, and pitched camp against the city of Judah (Jerusalem). On the second day of the month Addaru, he took the city, captured the king, and appointed a king of his choosing. He to[ok] its heavy tribute [a]nd brought (it) into Babylon. The king of Akkad in this text is Nebuchadnezzar II, Akkad being a reference to northern Babylonia, where the city of Babylon was situated; Ḫatti was the Babylonian way of speaking of the Levant, the eastern Mediterranean coast. From the immediate context of the Babylonian chronicle, we learn that, when Nebuchadnezzar ascended the throne of Babylon, he was consolidating an empire that he and his father, Nabopolassar, had relatively recently won from the Assyrians. Nebuchadnezzar’s first order of business was to fill the power vacuum created by the removal of the Assyrians, especially in the Levant, which the Egyptians were attempting to take for themselves. So, Nebuchadnezzar’s first eight campaigns as king of Babylon took him to the Levant, where he defeated the Egyptians and established his rule. It was during these initial campaigns that he put down the revolt led by Jehoiakim and Jehoiachin, took Jehoiachin as a prisoner, and set Zedekiah on the throne of Judah. Indeed, since we can pinpoint the years of Nebuchadnezzar’s reign on the Julian calendar, we know that the conclusion of this first Babylonian siege of Jerusalem occurred in mid-March, 597 BC. Christians rightly read 2 Kings as a story about faith, but it is important to remember that it is also a historical story and can be read and examined as such. Doing so allows us a richer understanding of the text by placing the narrative in its context in political and cultural history. C. Waerzeggers, “The Babylonian Chronicles: Classification and Provenance,” Journal of Near Eastern Studies 71 (2012): 295. Author’s translation; for an edition, see J-J Glassner, Mesopotamian Chronicles (SBLWAW 19; Atlanta: Society of Biblical Literature, 2004), p. 230, reverse 11′-13′. For photographs of the tablet, see http://www.britishmuseum.org/research/collection_online/collection_object_details.aspx?objectId=320055&partId=1&searchText=21946&page=1 (accessed 7 September 2018). RA Parker and WH Dubberstein, Babylonian Chronology 626 B.C.-A.D. 75 (Brown University Studies 19; Providence: Brown University Press, 1956), p. 27. Bone cancer in children? What’s that about? How dare You? How dare You create a world in which there is such misery that is not our fault?” With these bracing words, the comedian Stephen Fry, an outspoken atheist, voiced a crucial issue for Christians and non-Christians: If God is all-good and all-powerful, as the Scriptures claim, then why does He allow good people to suffer evil? All are confronted with it: a dear friend’s diagnosis with terminal illness; abuse of a neighbor’s child; terrorist bombings at a beach café; hurricanes devastating entire islands. When skeptics ask this question—or when fellow Christians ask, or when you ask—what is a biblically sound response? It is essential to distinguish, and carefully engage with, two parts of the question: the head/intellectual side and the heart/emotional side. In the moment of suffering, a head-oriented answer (“It’s God’s will”)—even if doctrinally correct—may not be balm for the anguished soul. Often, the tender response comes first. But that must be grounded in the intellectual side, so we begin there and will circle back to the emotional side. The head/intellectual issue can be rephrased like this: Does the suffering of good people disprove God? For if He allows such things to happen, doesn’t that prove that He is not good, is not all-powerful, or is nonexistent? Four responses should be made. The question assumes there is such a thing as “good” and “evil” to begin with. The person asking the question has decided that one thing/person/event (earthquake, Hitler, terrorism) is “evil” and that something else (a suffering individual) is “good.” But how does the questioner know what is the “evil” or “good” thing? Not by personal opinion, for one realizes upon reflection that “evil” people (Hitler/ISIS/whoever) do not think they themselves are evil. The fact that anyone can protest evil at all requires a standard for good and evil outside any single individual or culture, which can only come from God and which has been revealed to all (Rom. 1:19–20; 2:12–16). The question presupposes that the suffering of a “good” person has meaning. Rocks and trees do not suffer. Even “bad” things happening to creatures is proportional; few rage against God when a tsunami destroys millions of ants. The significance of human suffering, however, is intuitive to all and entails that humans have unique dignity that is being undone by the suffering. Such dignity can only be conferred by God. If we are merely atoms subject to physics and natural selection, suffering does not exist. The question assumes that God never has good reasons for suffering. But according to Scripture, God does have such reasons, even if we dislike or do not understand them. Suffering can be due to the fallen state of creation (Rom. 8:19–22). Suffering can be a punishment for sin (Judg. 2:11–15), though not always (John 9:1–3). God can permit Satan to inflict it (Job 1–2). It can display God’s justice (Rom. 9:19–26). It can drive sinners to repentance (Ps. 119:71). It can be used to advance God’s kingdom (1 Peter 4:12–19) and sanctify us (Rom. 5:3–5; James 1:2–4). Indeed, the most stunning instance of a bad thing happening to a good person—the death of Jesus—accomplished the good of salvation (Acts 2:22–24; 4:8–12). But sometimes, when facing the most gratuitous and inexplicable of evils, we can but trust that God’s ways are beyond our own (Rom 11:33–36). Finally, the question requires that there be such a thing as a “good” person, yet Scripture and life attest that all of us are broken and miserable (Rom 3:10–18). Indeed, another question might be why good things happen to anyone at all, given how bad we are. The skeptic believes the universe operates on the basis of “do good, receive good; do bad, receive bad.” If this view is accurate, why do utterly despicable people prosper? No other worldview can explain this except the biblical one, which reveals the sinfulness of everyone and the benevolence of God toward everyone for His own purposes (Matt. 5:45)—unto the final day of judgment, when all will be rectified. We return, then, to the heart/emotional issue. When bad things happen, suffering and grief often confront us with the seeming absence of God in that moment. What do Christians do? The head/intellectual issue must be dealt with, perhaps when the dark clouds part. In the darkness, we comfort those who are suffering with the loving comfort we have received from God (2 Cor. 1:3–7). We grieve with them (Rom. 12:15). We sit in the ashes with them (Job 2:11–13). We bear one another’s burdens (Gal. 6:2). And most of all, we lovingly point them to Jesus, the one good person who suffered the greatest of all evils to redeem us, who wipes away our tears, and who promises a day when this will all be fixed (Rev. 21:4). Originally posted on TableTalk Magazine website in August 2017. Republished by permission. Dr. Greg Lanier is assistant professor of New Testament at Reformed Theological Seminary in Orlando, Fla., and assistant pastor at River Oaks Church (PCA) in Lake Mary, Fla. Originally posted on TableTalk Magazine website in October 2017. Republished by permission. Dr. R.C. Sproul was founder of Ligonier Ministries, founding pastor of Saint Andrew’s Chapel in Sanford, Fla., and first president of Reformation Bible College. He was author of more than one hundred books, including The Holiness of God. His lecture series on the Reformation doctrine of justification are available as a full online course, Justified by Faith Alone. Many people come to faith in Jesus Christ long before they are able to articulate the theology of regeneration and conversion. Slowly, we realize that what seemed a “simple” act—trusting in Christ—was in fact a complex experience of divine activity. The Holy Spirit needed to be secretly active, since “no one can say ‘Jesus is Lord’ except in the Holy Spirit” (1 Cor. 12:3). Woven into this work of grace, then, is the unnoticed activity of the Spirit as He persuades us that the Scriptures—our ultimate source for knowing Christ—are the Word of God. Coming to this conviction also seems simple and straightforward. But when examined closely, it reveals a similar complex of marvelous divine activity. (4) illumination in the hearts of believers. All this results in our seeing who Jesus really is and trusting Him. Thus, the Spirit persuades us about Jesus entirely on the basis of Jesus Himself. Yet this persuasion arises because the Father has sent Him, because Jesus gives evidence of who He is, and because the Spirit opens our blind eyes to recognize Him. As with Peter, our conviction is not a flesh-and-blood matter (Matt. 16:16–17); like Mary in the garden, we may not at first recognize who Jesus really is (John 20:14); like the disciples on the Emmaus Road, our eyes need to be opened (Luke 24:31). However, our only access now to the knowledge of the Living Word (Jesus) is through the written Word. Faith in Christ depends upon Scripture’s divine character and testimony. We come to Christ through the Apostles’ words (John 17:20). (1) The inspiration of Scripture—it is God-breathed. (2) The revelation of Scripture’s identity in its internal claims to be the Word of God. (3) The corroboration of Scripture’s authority in the evidences that it is God’s Word through its message about God’s character, His saving works, fulfilled prophecy, and its effects in the lives of God’s people. (4) The illumination of Scripture’s message through the Spirit’s softening of hard hearts, bowing stubborn wills, and opening blind eyes as we read and hear its message. Question: Why, then, do conversion to Christ and conviction about Scripture as God’s Word seem to us so simple: “I believe in Jesus Christ” and “I believe Scripture is the Word of God”? Nor does the Spirit whisper directly and personally to us, “The Bible is the Word of God.” No, His testimony comes through the Scriptures themselves. He enables us to see Scripture as it really is when we read or hear it. He causes our hearts to burn when we experience that, in Scripture, God “addresses you” (present tense; Heb. 12:5). Thus, the Spirit convinces us about Scripture ultimately from Scripture itself. This was Timothy’s experience. God “breathed out” the Scriptures (2 Tim. 3:16). They claimed to be the Word of God (v. 15). Timothy was confronted with the evidence (including the changed lives of his mother, grandmother, and spiritual father; vv. 10, 14). Timothy was convinced (v. 14). This was the Thessalonians’ experience. Paul carried the Word to Thessalonica; it was spoken as the Word of God; it gave evidence of its identity; the Thessalonians “accepted it, not as the word of men, but as it really is, the word of God” (1 Thess. 2:13). This persuasion was the Spirit’s work (1:5). This is the doctrine of the internal testimony of the Spirit expressed in its simplest form. This is our experience, too. The same testimony of the Spirit is experienced whenever anyone comes to faith in Christ and trusts Scripture as God’s Word. Someone will experience it today. Pause, and thank God for it. Originally posted on TableTalk Magazine website in January 2016. Republished by permission. To learn more about this topic, enroll in the online course, Who Is the Holy Spirit? developed from resources by Sinclair Ferguson. Calvin was a great thinker, a great theologian and, by dint of these things, forced to be a leader. He was also a private man, a committed friend, a public figure and a gifted controversialist (although not always by choice). He operated out of deep conviction and principle and with a clear sense of vocation, mission and practical outcomes. By virtue of the times he lived in and the nature of his project, Calvin’s influence on those with whom he came into contact was rarely neutral or insignificant. It was given to many lesser men to navigate life serenely. It was not so given to Calvin. Jenkins’ genius in this book is to show how Calvin’s life, thought and practice inevitably shaped, and were in turn shaped by, other forceful characters whose agreement, disagreement or opposition, at different times and to differing degrees, forced Calvin to rethink or restate his doctrine and churchmanship. Jenkins (an Orthodox Christian whose path took him via Calvin to his current faith) is neither a friend nor an enemy of Calvin. 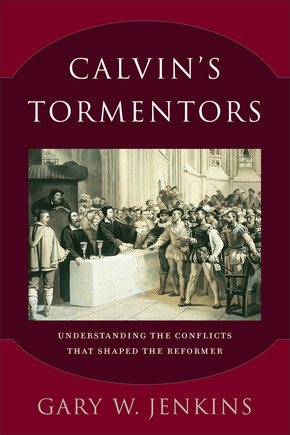 His treatment, in separate chapters, of Calvin’s relationship with du Tillet, Caroli, Sadoleto, Servetus, Castellio, Berthelier, Baudouin, Bolsec, Westphal and the Italian antitrinitarians is for the most part even-handed and objective and allows the reader to reflect on Calvin’s thought as it progressed over time and in relation to the controversies of the day. As such, the book traverses such varied terrain as how to live faithfully in relation to an unfaithful church (du Tillet); how to communicate clearly on the Trinity (Caroli); why a humanist gloss on the Catholic tradition was unacceptable—to either side—(Sadoleto); how those turbulent times treated heresy and heretics and how Calvin was drawn into a controversy that has dogged him since (Servetus); how friendship and admiration can, through a sense of unreciprocated affection, spoil into bitter enmity with theological pretexts (Castellio); how the Enfants de Genève showed the practical impossibility (due to a badly articulated relationship between church and state?) of a ‘perfect school of Christ’ this side of the parousia (Berthelier); how theological disagreements and jealousy spill over into ad hominem arguments and filthy invective (Bolsec, who, due to his distaste for Calvin’s doctrine of predestination, was at the origin of the widely circulated and scurrilous slander of Calvin’s juvenile homosexuality and adult womanizing); how the Eucharistic debate remained an unresolved issue amongst the reformed and how Calvin misread the reformed landscape in its diverse, deeply rooted beliefs and practices (Westphal); and how the doctrines of justification, satisfaction, the Trinity and the person and work of Christ the mediator played out in Italy, Poland and Hungary, paving the way for Unitarian and Deistic tendencies inimical to Calvin’s thought, even if some of the protagonists used distortions of Calvin’s writings to divide and conquer the orthodox (the Italian antitrinitarians). Rich in detail, thought-provoking, wittily observant, thoroughly researched and documented (with an extremely useful index of authors and subjects) this monograph is a fine piece of scholarship. It will undoubtedly prove to be of great utility to scholars and students. But beyond that, this is also a useful book for all practitioners and leaders to read. Few of us will be called to have the scope and depth of ministry that Calvin had. But many of us, reading these pages, will have a sense of uncomfortable familiarity with the ways in which these controversies played out as studies in interpersonal relationships. The experience of seeing close friends, with whom ministry practices and priorities were closely shared and with whom many moments of deep affinity and affection were felt, turn their backs and walk away is alas not uncommon. It is, sadder still, also not as rare as it should be that these episodes be accompanied by vitriol, even if diluted by spiritualizing language. And often as we read these pages, we are left with a sense that there was nothing inevitable about some of the outcomes, or at least some of the fall-out from them. Du Tillet emerges as a warm, wise friend urging Calvin to reflect and to moderate his views or, failing that, the too-vehement expression of them. Socinus, at the other end of the book, is celebrated by all for his ‘courtly manners, his breadth and depth of culture, his frank and attractive character, crowned by irreproachable morals and a deep and sincere piety.’ Calvin does not always come out of the accounts Jenkins gives with as much credit. But here we need to be careful, at least on two counts. First, we must not read back into the 16th century the sensibilities of our times. And second, a book such as this is necessarily selective. And it could be argued (as Jenkins does indeed intimate) that, since Calvin’s focus and mission throughout his life was the reformed church in his native land, a fairer sampling of Calvin’s character and style could be gleaned, not so much from the controversies that swarmed in his wake, but in the relationships he developed with those pastors he trained and sent back to France. 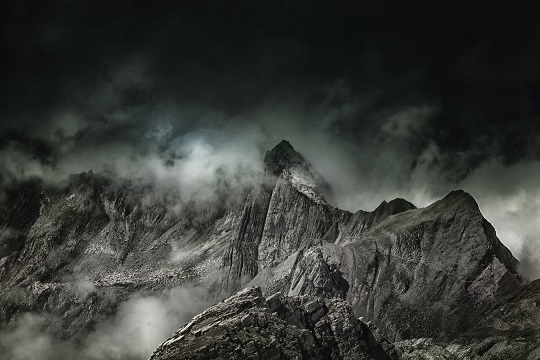 Reading Calvin’s letters to these faithful friends and fellow-workers shows us a different side to Calvin – if he comforted them, it is equally sure that they comforted him, and that Calvin’s comforters outnumbered his tormentors. In the conclusion of the work, Jenkins summarizes and outlines his major thesis, namely that Calvin was an ‘ad hoc theologian’ and that this was the source of the torment he endured at the hands of this richly peopled work. What Jenkins means by this, it becomes clear, is not so much that Calvin’s theology was circumstantial but that Calvin was ‘untrained in theology’ (p. 174). This paves the way to the main criticism that Jenkins seems to have as regards Calvin – that he thought that ‘the only source material for theology was revelation, as if theology was nothing more than humanistic enterprises in textual analysis.’ (p. 175). Jenkins means this as a slight. For Calvin, it would have stood as a compliment, and a final justification in his dealings with his tormentors.